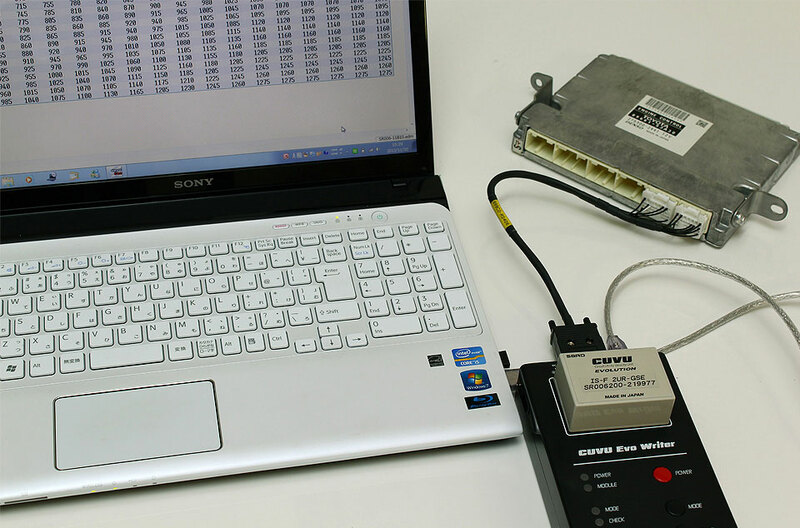 ECU tunning is to awaken the sleeping potential ability of engine by reprograming ECU, controls all engines functions. In the genuine state, the original power is suppressed for various spells such as enviromental reason,fuel economycountermeasure, more than necessary safety margin. However, it brings up power, torque, rev.limit to reset fuel map,ignition timing, throttle map,valve timing. In addition to those improvements, it is possible to raise various limiters,speed limitter, rev.limitter. The ECU tunning makes the full use of the awakened ability that brings more sensual feelings on your driving. *setting with actual car requires an additional of JPY 100,000 on the general setting. *In case of No. other than the above, please contact us. *If other company's data is already installed, we need to send it to us. *The Date can not be installed to other than the maker genuine ECU. *After installing the date you will not be able to reprogram the genuine date. *After installing the date you will not be able to returen to the genuine date. **Paddle shift has some functional restrictions.